Feelings of anxiety occur when you feel a threat or under pressure in anticipation of a stressful situation (stressor). Occasional feelings of anxiety are natural and can be helpful to improve your performance or ensure survival in some circumstances. However, ongoing mild anxiety or mild anxiety that exists without a stressor can have an effect on your daily life. It can affect your thoughts, feelings and body over time. If symptoms of anxiety persist, you should seek advice from your healthcare professional. What are the symptoms of mild anxiety? There is no single cause for anxiety, but instead a variety of factors related to your health may play a part, such as poor physical health, a family history of anxiety, your personality or thinking style, and stressful life events. Mild anxiety tends to affect more women than men. 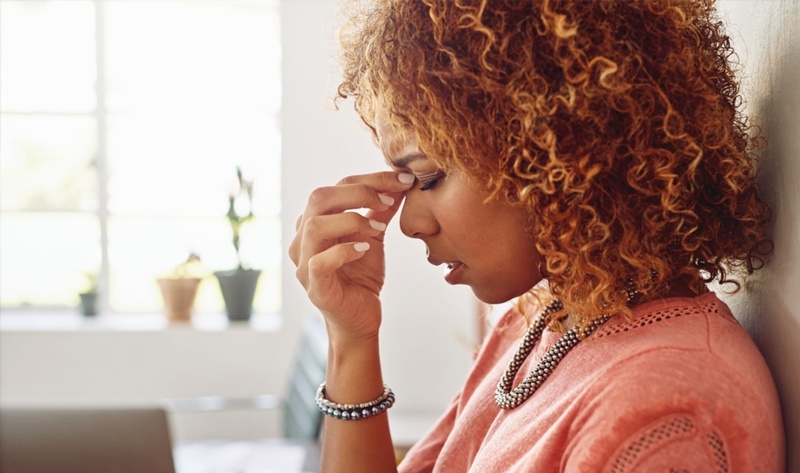 Although anxiety can be a natural reaction to a stressor, you can help reduce your risk for developing mild anxiety and letting it affect your daily life. It is important to recognise you may experience feelings of anxiety that are unrelated to a stressful situation. Keep in mind it is better to have a health assessment rather than continue with negative feelings and worry. When you visit your doctor, be honest and discuss any anxious feelings you have, as well as any factors that may contribute like a family history of anxiety or other health concerns. If you are concerned about symptoms but the idea of visiting your doctor is causing you anxiety, you can try writing down your thoughts before your appointment, or taking a friend or family member to the appointment with you. Either way, it is important you consult your healthcare professional. Try to get plenty of sleep and cut down on the amount of caffeine you drink (like in tea and coffee), and if you smoke, consider quitting. If you drink alcohol, drink only in moderation or eliminate it entirely. It may help to talk to your doctor about your recommended alcohol intake. Depending on what works well to help your mild anxiety, you may be able to manage your own feelings of anxiety or otherwise benefit from receiving treatment from a trained health professional. Cognitive behaviour therapy (CBT) can help manage and reduce mild anxiety with the assistance of a trained health professional, who can equip you with the skills necessary to face your anxiety. You can also try breathing and relaxation techniques, such as meditation or deep breathing. Regular physical activity, such as going for a 10-minute walk every day or pottering in your garden, can help with mood balance and managing mild anxiety. Finally, there are natural medicines that may help relieve the symptoms of mild anxiety. In particular, natural remedies that include Hypericum perforatum, commonly known as St. John’s Wort. have been used for centuries to help manage stress and mild anxiety.